These bars are gluten free, made with whey protein, are naturally sweetened with stevia (4g total sugar in the whole bar), and have a Greek yogurt drizzle on them! 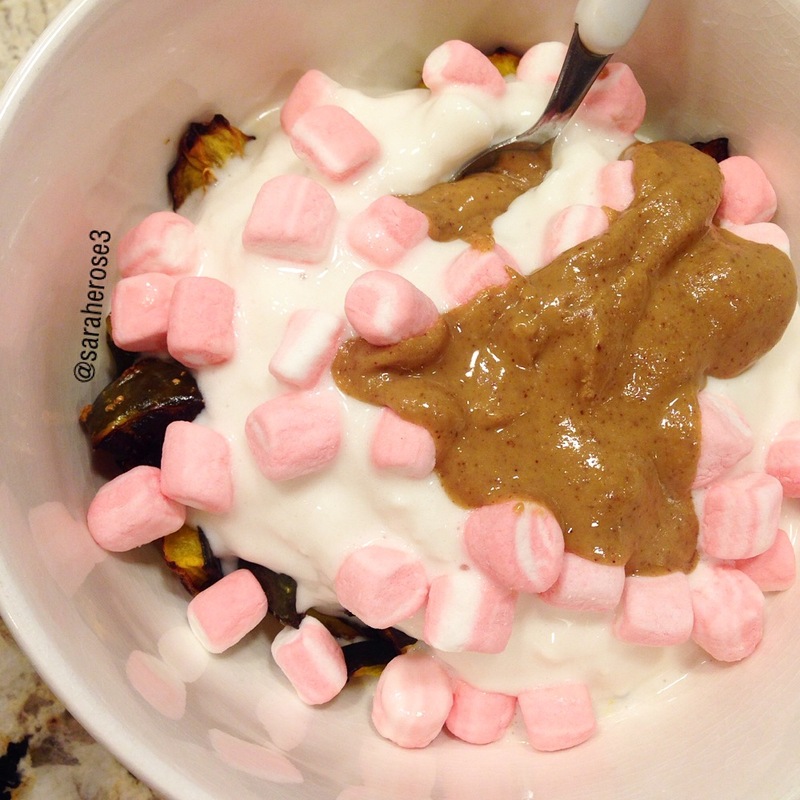 Peanut Butter Chocolate – 160 calories 16c 6f 11p 3fib. The bar appeared small, but it weighs 38g. The bar that I opened first weighed 37g, so almost exactly the weight that it was said to be! It smelled of peanut butter. I couldn’t wait to dig in! 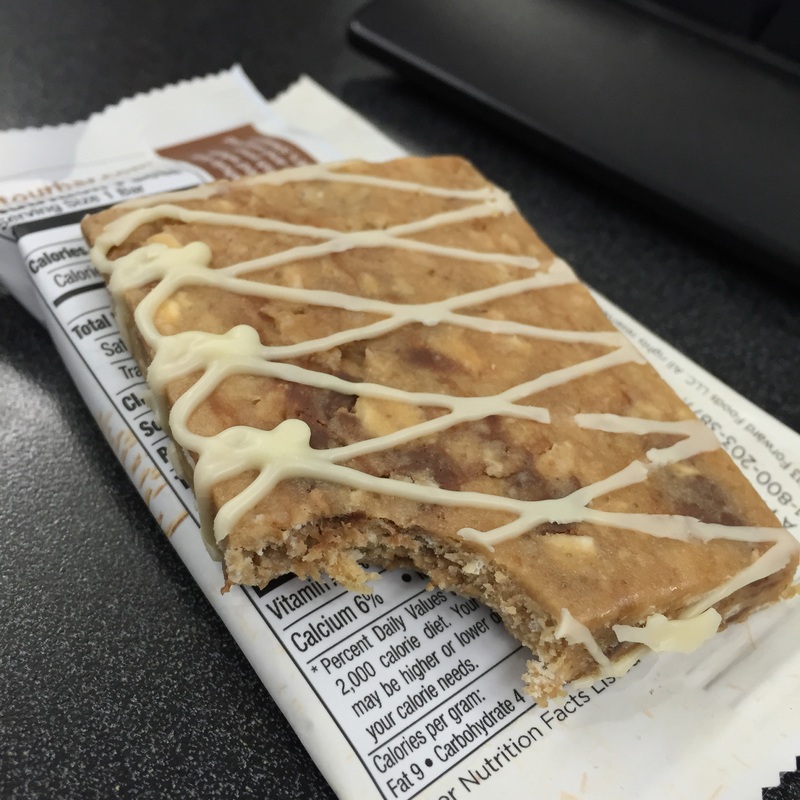 This bar is so creamy and nutty. It’s chewy but soft. And the bar is pretty dense for its little size, so don’t fear that it’s so small. There’s also little chocolate chips inside, which I wish were a bit bigger. But this far tastes so good, that I was ok with that! I fully recommend it. They did a good job with this one. 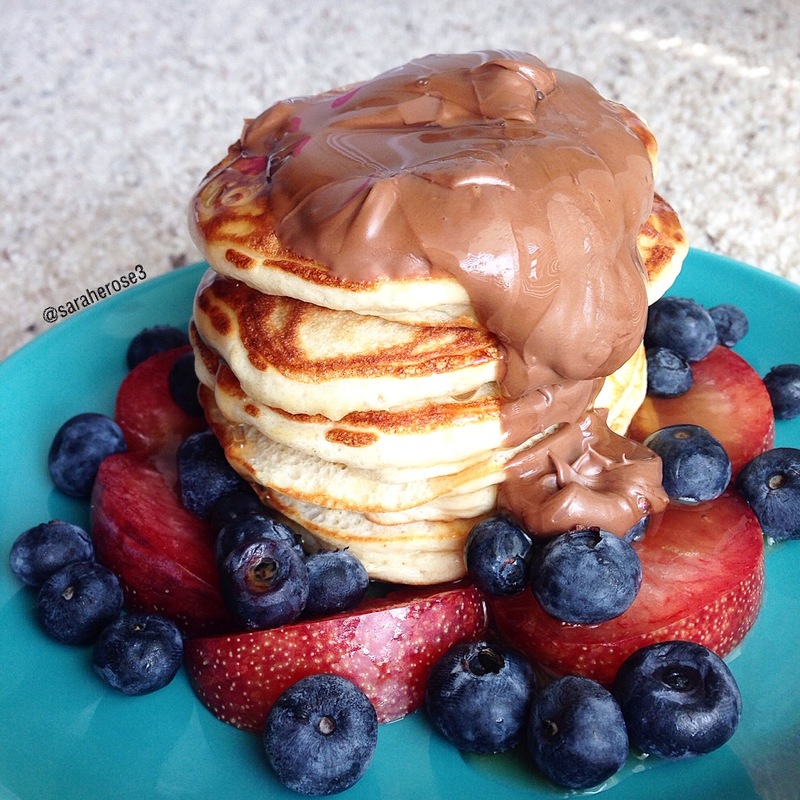 Blueberry – 130 calories, 18c 2f 10p 3fib. The bar definitely smells like blueberries- that’s for sure! Made my mouth water. The first bite, I could taste a blueberries and cream flavor. I literally sat there with the bite in my mouth because it tasted so good. Strong blueberry taste. Chewy and soft, like the other bar! Brava. Ice cream makers are awesome. But I hate how a layer of it sticks to the machine. However, a friend on Instagram told me that it happens when there isn’t enough/any fat in the recipe! So this was a trial, but still good, nonetheless. I mixed all of the ingredients then chilled them for about an hour – when using an ice cream maker, you want to use cold ingredients. Then I let them sit in my ice cream maker until finished! I have a 1.5qt Hamilton Beach Ice Cream Maker. It’s so cheap! Starbucks is my absolute favorite study location. Although I always buy a drink. #StarbucksOwnsMySoul. Today I brought some snacks with me. I brought two Onion Kim’s Magic Pop Magic Pop cakes with me and brought a mix of low sodium tuna + sambal oelek + 2 onion & chive laughing cow wedges. The two together were a match made in HEAVEN. The magic pop cake was so light and airy but had a nice crunch to it! The onion taste was perfect- not too strong that it turns you off. They have it just right. That’s it. I just mashed the laughing cow wedges then mixed them and the samba with the tuna. I put them on Kim’s Magic Pop onion Magic Pop. Super simple. Super quick. 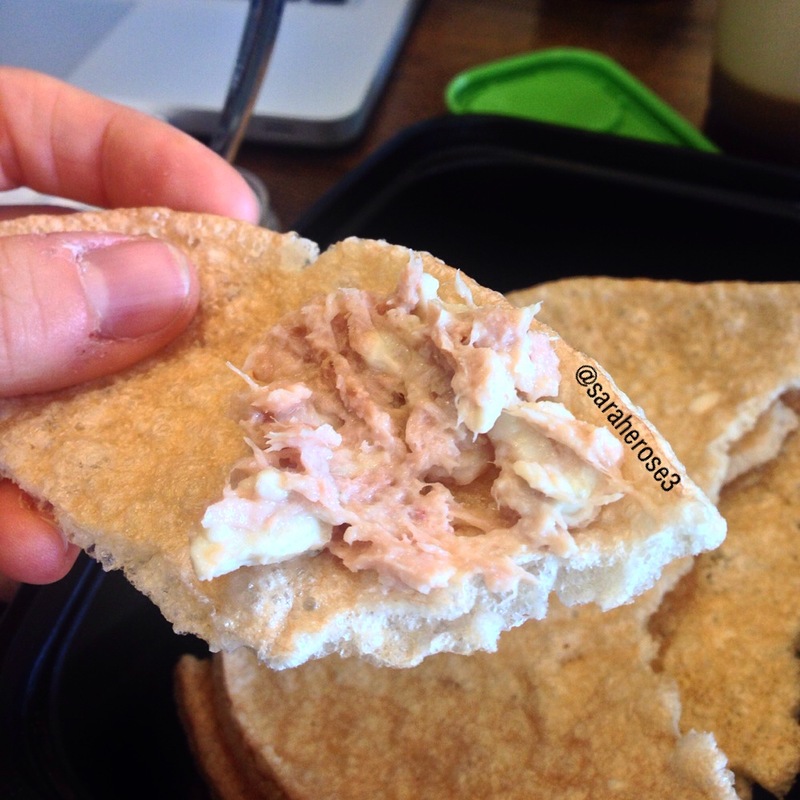 Super low cal, low fat, low carb, and high protein! I shared on my instagram that I teamed up with MyOatmeal to do a review of their products! I was able to make my OWN flavor combinations, too — HOW COOL, right? 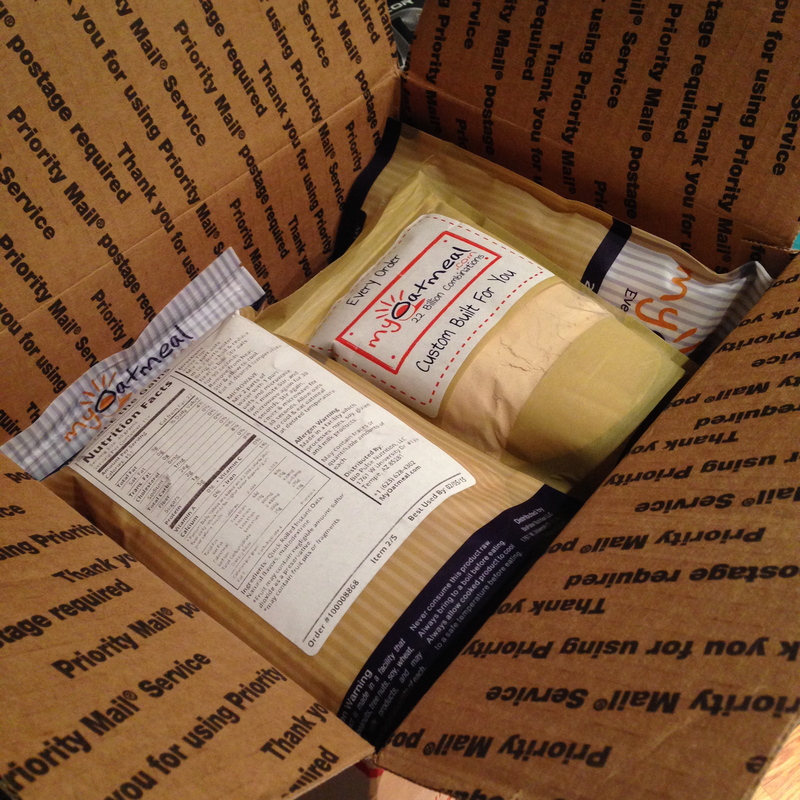 Here’s the package as SOON as I opened it! OOOOOH, someone’s good at TETRIS! 😉 So what did I get? WELL! –I opened it and was confused by the smell. There was something weird and strong. I closed my eyes and could smell the bananas in there. Something smelled…different. I couldn’t put my finger on it. I’m guessing it’s the honey flavoring and peanut butter flavoring. The flavor was a match made in heaven. I swear. I could taste both of the flavors equally, and the banana chips added a gorgeous touch! The first time I had this one, I baked it. The banana chips didn’t soften completely and still had a little bite to them. Such a nice surprise! –I could smell the chocolate in there, but what really had my eyes wide poem was the PURE, fresh out of the oven banana bread smell. It was like a dream. I just mixed in stevia drops and liquid egg whites so that I could taste the pure flavor (with sweetener because I didn’t get it sweetened. I prefer to add my own). I could taste the banana bread PURE and STRONG, which I loved. But, sadly, the double fudge brownie kind of got lost somewhere. –it smells like PURE cake. Right when I tore open the bag. As if I has just baked a white cake and was about to take a bite. It literally tastes like that white cake that you had on your birthday as a child (I hope you did, otherwise this is awkward). I had a nostalgic moment as I took that first bite. 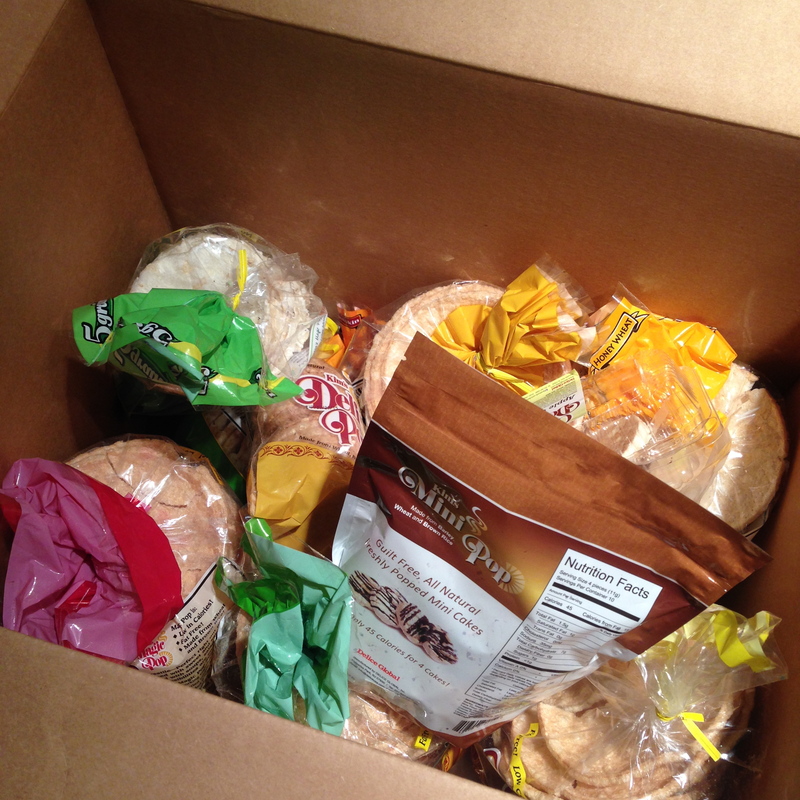 –opened and got a large whack in huge face whiff of cinnamon roll. I’m talking Cinnabun whiff. Like…those ones that I used to get when I was little. With the pecans. Cause I could smell those babies in there too! The smell literally had me salivating, and I could picture. That ooey-gooey pecan cinnamon roll with that icing just dripping down the side of it–UGH! Okay okay okay. Onto the flavor. I had it just mixed with liquid stevia drops (because I got it unflavored) and egg whites. I’m telling you. The pecans brought it allll together. The flavor was spot on with a Cinnabun — well, a little less powerful. But I’m telling you- the flavor was THERE. And mixed with oats? Ok. GET THIS ONE. 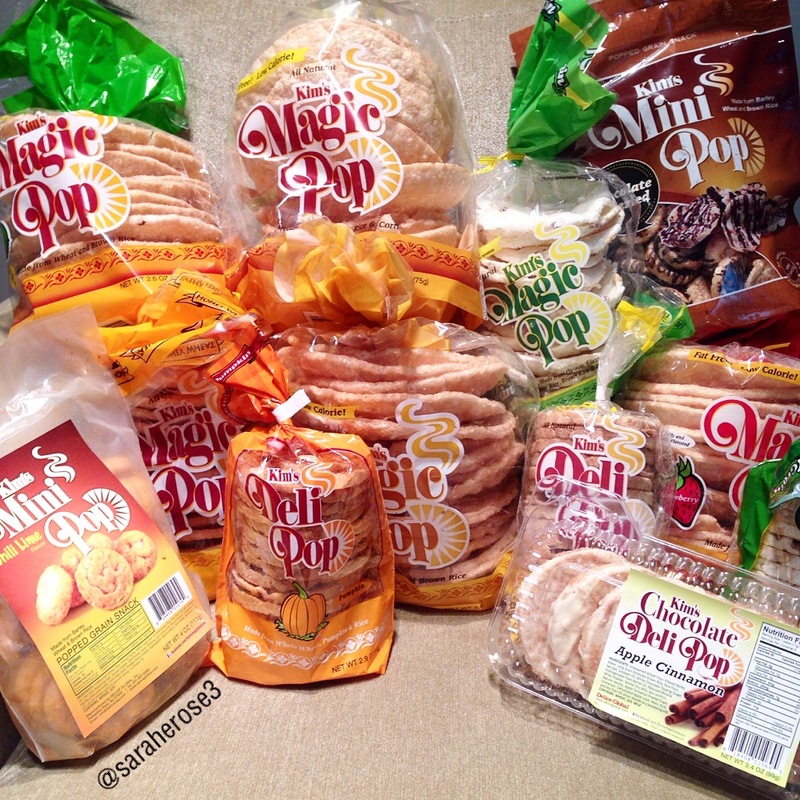 –when I smelled the freshly opened bag, I immediately said (out loud), “ooh. OOOOOOH.” Not kidding. I couldn’t stop smelling it. I even stopped typing this to repeat that. I could smell the strong white chocolate AND the carrot cake. Holy moly, I’m in for a treat. It tasted like I had melted a white chocolate bar on top of some carrot cake, although I wish the carrot cake flavor was a bit stronger. With crushed peanuts in the cake. All in all, it was a nice pairing! SO. Now, I’m sure you’re wondering how to get YOUR hands on some of this stuff, right? Head on over to www.MyOatmeal.com, and start making creations! 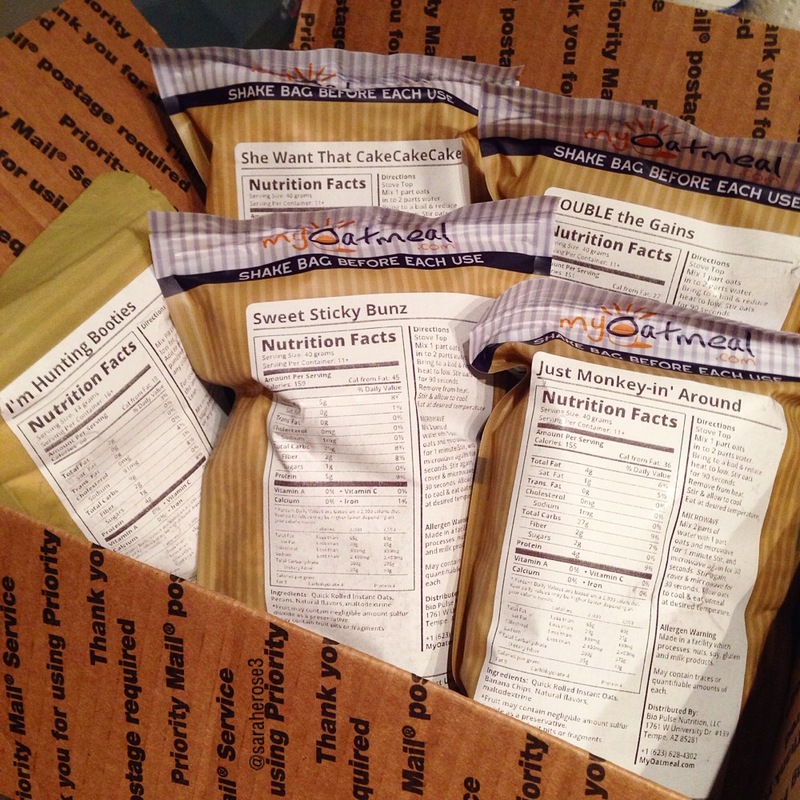 You get to mix and match different flavors, add-ins, spices, sweeteners, whatever your little heart desires!! …granted that it’s an option, that is. Want to know something ELSE that is cool? If you use SarahRoats15 at the checkout, then you get 15% off your order! Now get to it!!! Can’t wait to hear what you guys order! And thank you again, Anthony, for allowing me this incredible opportunity! It is much, much, much appreciated. Uh, hi. Yeah. This was literally PERFECT. I kid you not. 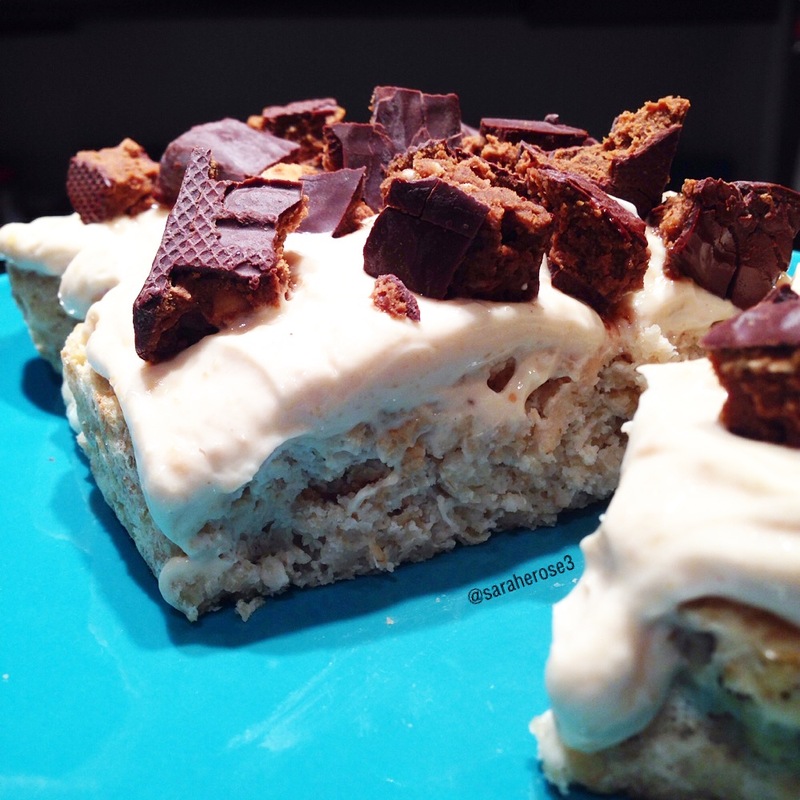 I baked my Just Monkey-in Around MyOatmeal, and it was UN-REAL (pause necessary). Mix ingredients and put in a graded dish (I lined my wish with parchment paper to ensure that it wouldn’t stick). Bake at 375F for 25-30 minutes, or until a toothpick comes out clean! 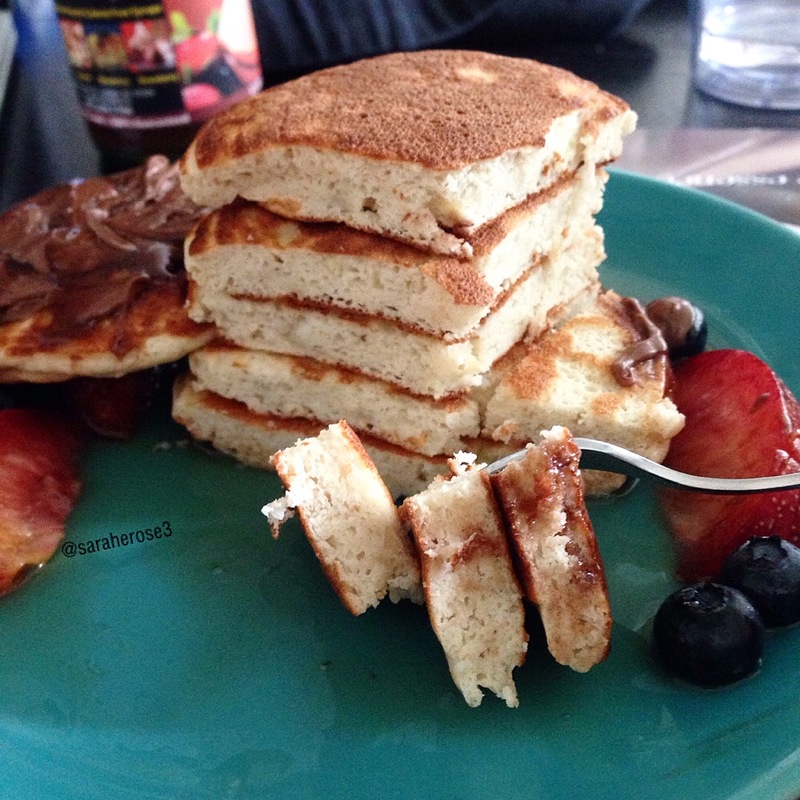 Sometimes your protein pancakes turn out so perfect that you have to share two shots. #SorryBoutIt…#NotReally ;). I whipped (lol pun-y) up a new recipe today, and it turned out way more successful than I thought it would! I started off by melting my banana by microwaving it for 20 seconds. Then mix all of the ingredients together. Cook in a medium-low pan for 2-4 minutes – bubbles start to form on top. Flip and cook for 2-4 minutes on the other side.